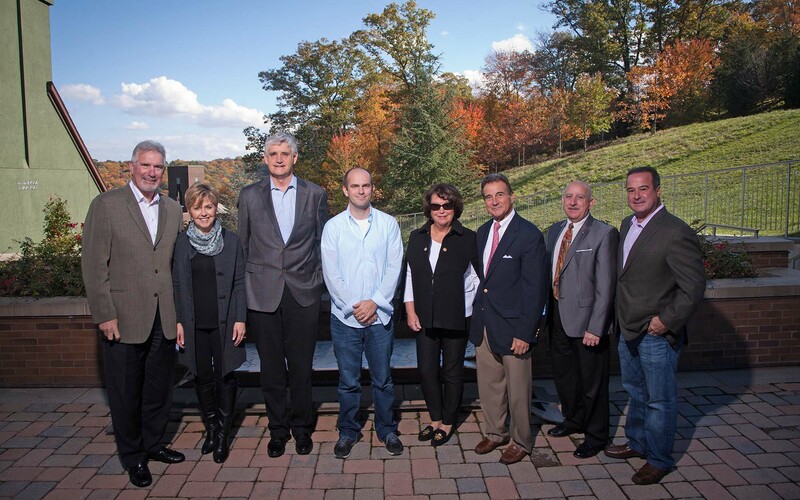 Cold Spring Harbor, NY — Cold Spring Harbor Laboratory (CSHL) was joined on October 30 by the Friends of T.J. Foundation, the Christina Renna Foundation, the Michelle Paternoster Foundation for Sarcoma Research and the Clark Gillies Foundation to announce the Sarcoma Research Project (SRP). With initial funding from these local groups, CSHL is launching a highly targeted effort to combat a rare and deadly type of sarcoma called rhabdomyosarcoma (RMS). The broad goal of the Sarcoma Research Project is to establish a research group dedicated to the biology of sarcomas. By focusing on rhabdomyosarcoma in the project’s initial stage, CSHL scientists hope to unlock secrets of therapeutic intervention that may apply to other sarcomas. Sarcomas are cancers that develop from connective tissues such as muscles and fat. They can affect both children and adults. RMS specifically involves cells that normally develop in skeletal muscles. The growths are most often found in the head, neck, urogenital tract and the arms and legs. RMS is most common in children, but can also affect adults. Lead funding for the CSHL Sarcoma Research Project came from the Friends of T.J. Foundation, the Christina Renna Foundation and the Michelle Paternoster Foundation for Sarcoma Research. As a first step, CSHL has already hosted a key conference on RMS. Convening in May 2014, it brought together researchers and clinicians from around the world to identify the most promising avenues for future research. Insights from this meeting set the course for the SRP. The Friends of T.J. Foundation was founded in 2009 after T.J. was diagnosed with a sarcoma, at the age of 31. T.J., along with his college friends, were the founding members. His first goal was to do everything he could to get well and then transfer his energy to work on the Foundation. The Michelle Paternoster Foundation For Sarcoma Research is a 501(c)(3) organization founded in 2013. The foundation supports research that is targeted at finding cures for sarcomas, as well as research that attempts to develop more effective treatment regimens than those currently available.